Jet’s board approved the resignation of Goyal, 69, and his wife Anita, the second biggest full-service airline in India said in a filing on Monday. Banks, which will get 114 million new shares in the company, will provide the carrier with immediate funding of as much as Rs 15 billion in debt. His departure removes a potential obstacle for creditors, who are seeking to overhaul the company and salvage a carrier that’s grounded about two-thirds of its fleet. Jet is currently 24 per cent owned by Etihad, but the shareholding pattern will change after issuance of shares. Lenders will now own more than 50 per cent of the carrier. Lenders led by government-owned State Bank of India, have proposed an intricate bailout package, under which banks have a majority of the company for 1 rupee -- less than one U.S. cent -- while giving the ailing airline time to arrange fresh equity. Jet shareholders approved the plan last month, allowing banks to nominate their representatives to the board, but there’s no progress in getting new investors. Little is known about Goyal’s childhood but he began his career in aviation as a ticketing agent for Lebanese International Airlines, according to his company’s website. In 1991, he started Jet Airways after India opened up its economy, and the airline started flying two years later. 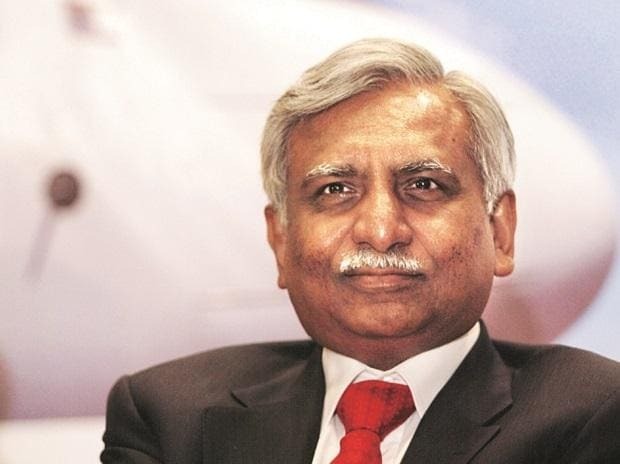 Over the years, he would expand Jet, then part-owned by Gulf Air and Kuwait Air, into the country’s second-largest airline behind flag carrier Air India. Banks and Etihad wanted Goyal to step down before a bailout, people familiar with the matter have said. Lenders have also sought a reduction in Goyal’s stake to less than 10 per cent as a condition before they infuse fresh capital, a person familiar with the matter said last week. With lenders taking a stake, Goyal’s stake will halve to 25.5 per cent.